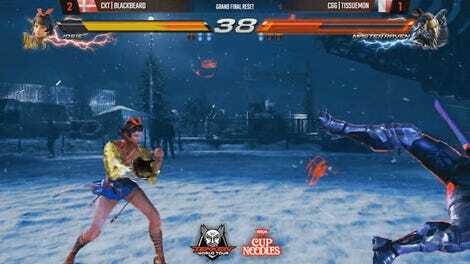 Tekken 7 pro Choi “Saint” Jin Woo is one of the top players in the game. He took second at both Evo 2017 and last year’s Tekken World Tour finals. 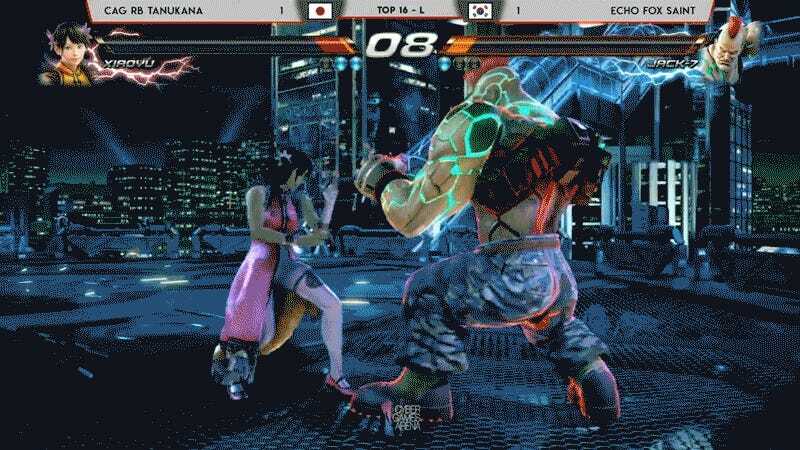 So when fellow pro Tanukana eliminated him from Beast Arena in Hong Kong this morning, you can imagine how exciting that must have felt. In the loser’s side of the top 16 bracket, Tanukana’s Xiaoyu faced off against Saint’s notorious Jack-7. Both players even at 1-1 and a sliver of health on either side, Tanukana slid in with a strike of the palm and landed the last hit she needed to take out Saint. She could barely contain her excitement. A huge upset for Tanukana, who would go on to fall in the next round to Doujin. Still, if you’re not going home with a trophy, a win over one of the unarguably best Tekken players in the world is a fine consolation prize.